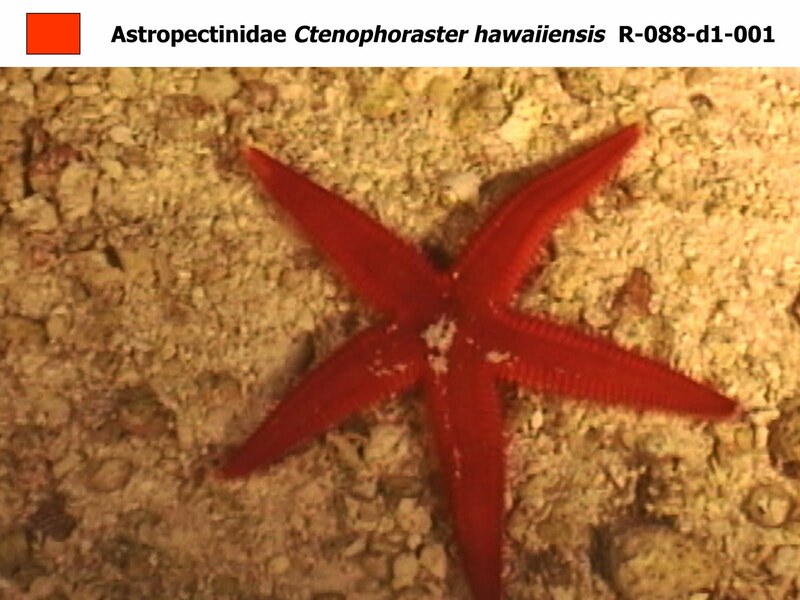 The Echinoblog: Starfish from Deep-Sea Hawaii- What Lives Below A Tropical Paradise! 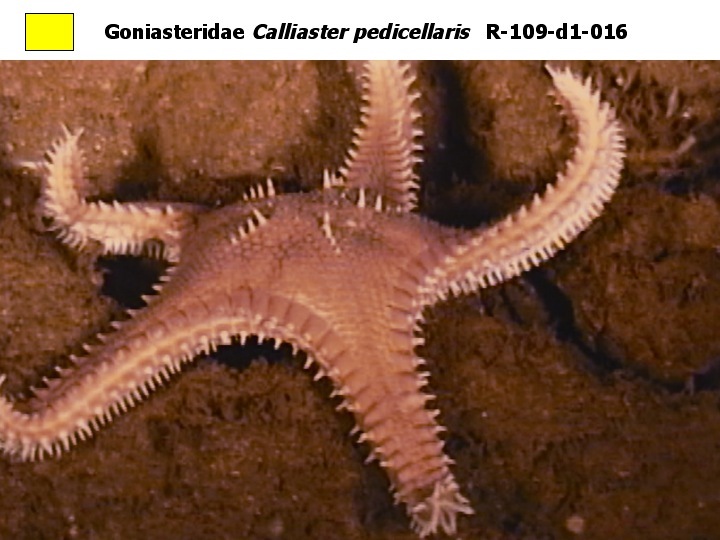 Starfish from Deep-Sea Hawaii- What Lives Below A Tropical Paradise! So, this week...a special TREAT! 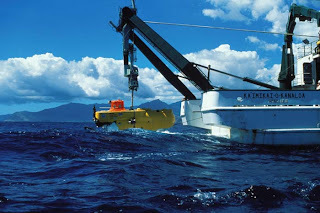 A recent visit by a colleague from the Hawai'i Undersea Research Laboratory (HURL) at the University of Hawai'i at Manoa has resulted in my being able to show all of my loyal Echinoblog fans some EXCLUSIVE images of the deep-sea fauna in the Hawaiian Islands!! 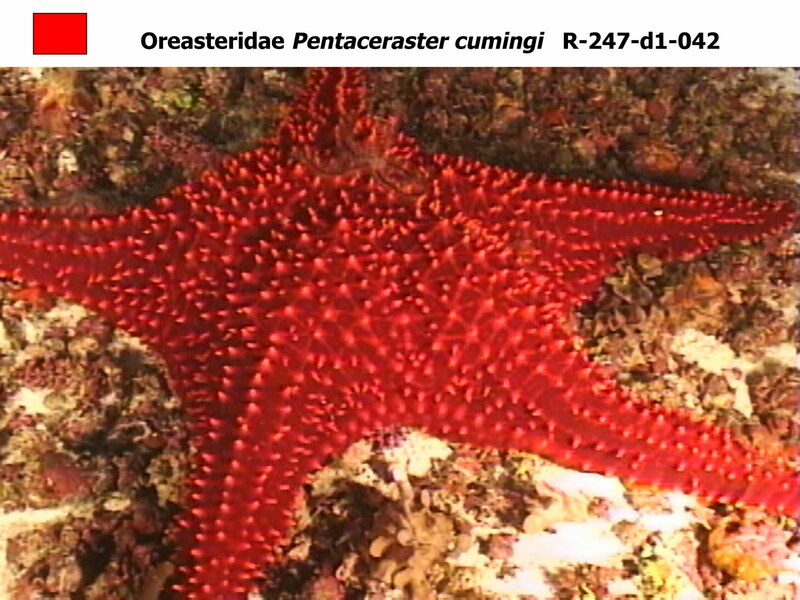 Hawai'i has some AWESOME shallow-water echinoderms. I've blogged about many of these species. 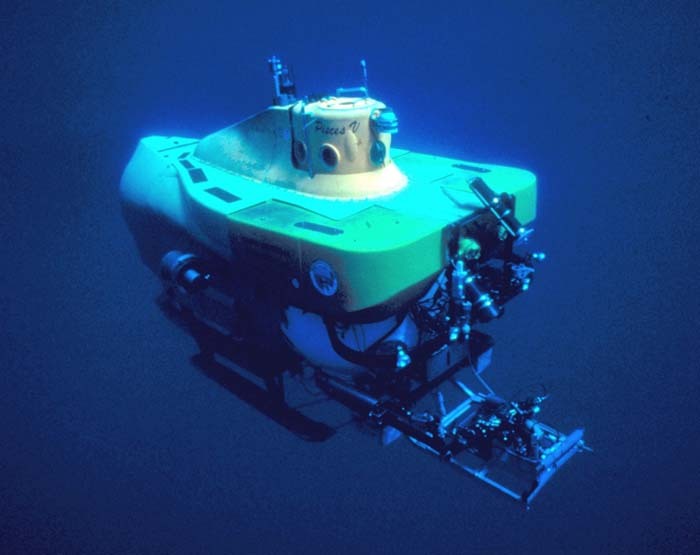 They operate not one but TWO manned submersibles in American waters-the Pisces IV and the Pisces V. Plus a remotely operated vehicle. 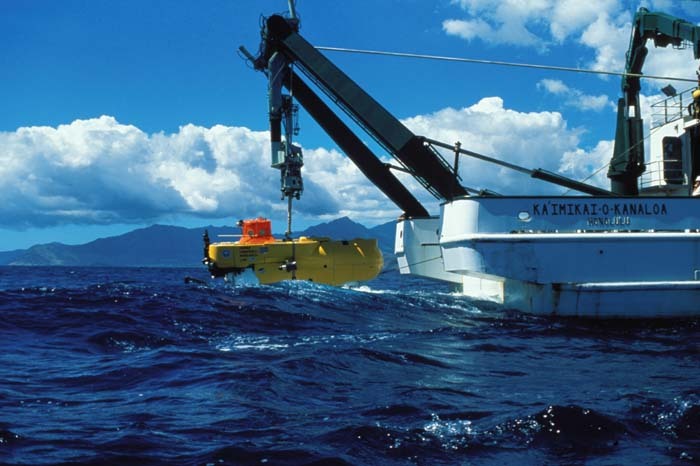 Both subs are deployed off the mother ship, the Ka‘imikai-o-Kanaloa (often abbreviated KoK) which is Hawaiian for "Heavenly Searcher of the Sea" Here is the Pisces V being deployed from the aft deck of the KoK. ...and thanks to Craig Young, I've actually been down in the Pisces V (in 2001) and found it to be one of the coolest things I've ever done! I've had a fairly LONG association with not only the Hawaiian Undersea Research Lab, but also the Invertebrate Zoology department at the Bishop Museum in Honolulu, Hawaii, where I helped identify and sort the echinoderms in the collection. 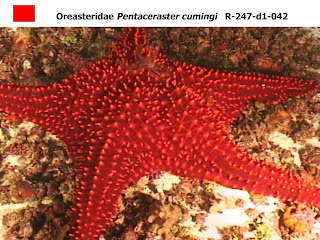 I was ultimately able to learn and help to identify the deep-sea starfish/sea star fauna in and around the Hawaiian Islands. 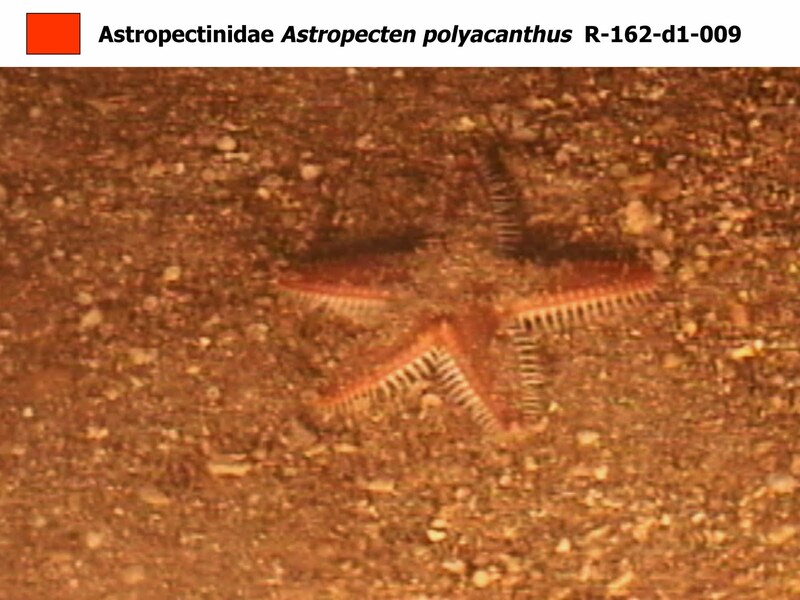 Its interesting that there's actually a much HIGHER diversity of deep-sea starfish around Hawai'i then shallow-water. But sadly, much of it is very poorly known. We continue to discover new things about the invertebrate fauna around the Hawaiian Islands on a regular basis! Thanks to HURL..I am now able to share the diversity of (at least some of) this fauna with you! Bear in mind...there are NO common names. Why? Because almost NO one other then scientists and possibly the occasional deep-sea fisherman, who gets one caught in a net gets to see these! These are decent sized, about 8 to 10 inches across. 2. Tremaster mirabilis. I blogged about this as a species, "about which, little is known.."
but here..we see it sitting practically FLUSH on the sea bottom.. About 4-6 inches in diameter. 3. 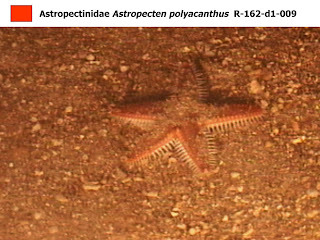 Astropecten polyacanthus. 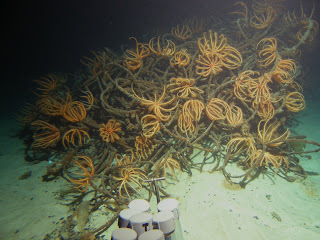 I just thought it would be interesting to show that even shallow-water species can get quite deep. 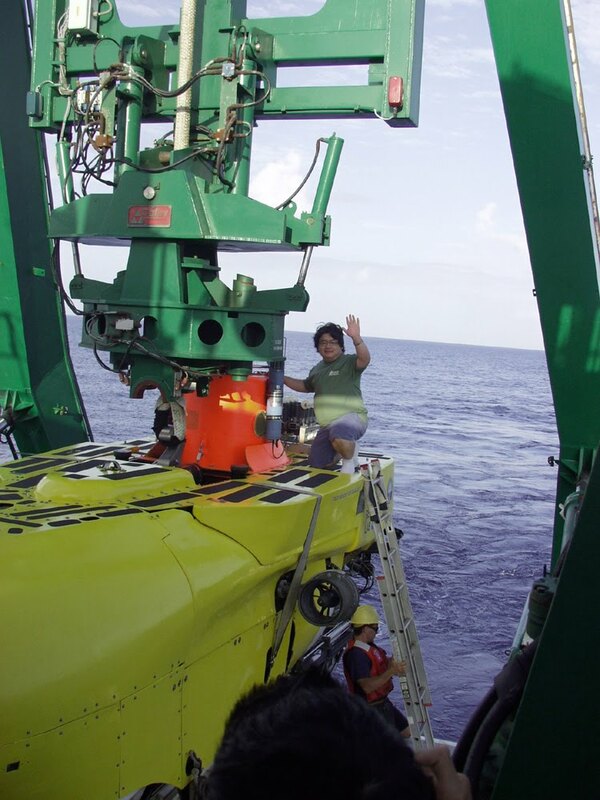 This one was from less then 100 m (I'll have to check exactly how deep). Here is a post I did about one found in shallow-water. 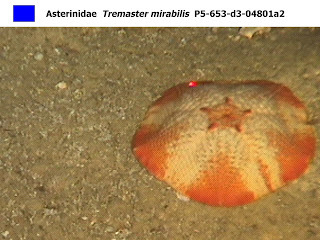 These are big..almost a foot and a half across..as are most oreasterids. 5. 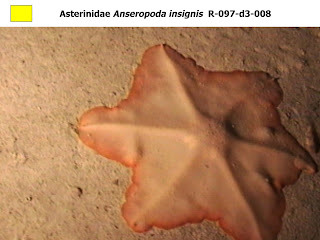 Asterodiscides tuberculosus. 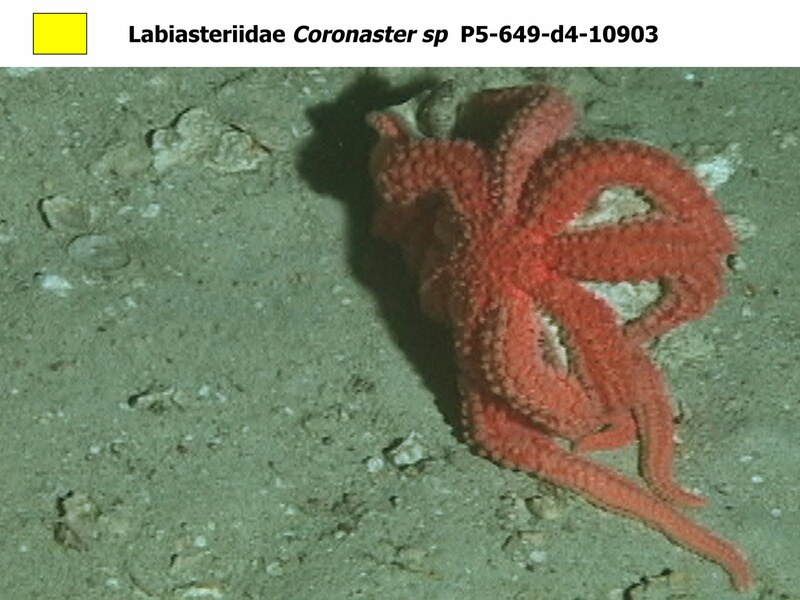 This is a species that you can see at the deeper end of a SCUBA dive. There are two toenail-like plates at the end of each arm. We know almost nothing about it. Decent sized animals..about 6 to 8 inches across. 4. Ctenophoraster hawaiiensis. 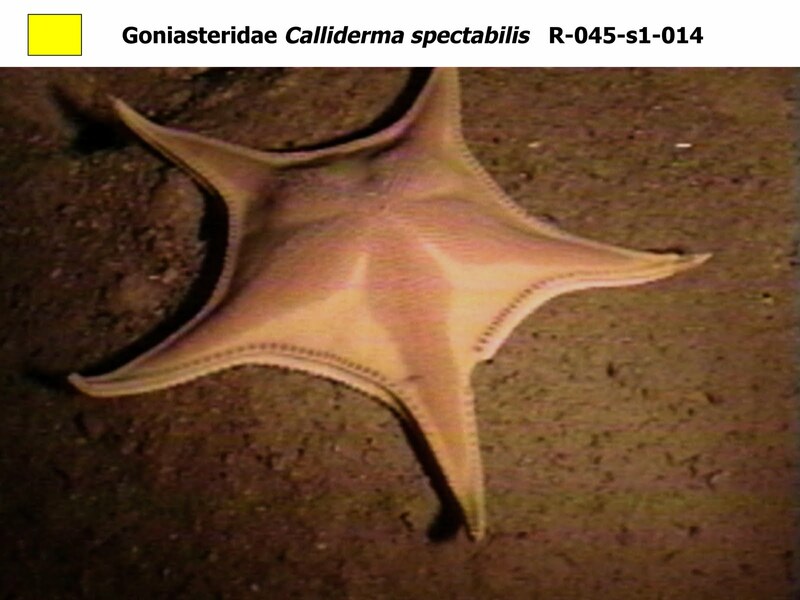 This species was described by Walter K. Fisher in 1906. We know nothing about it. 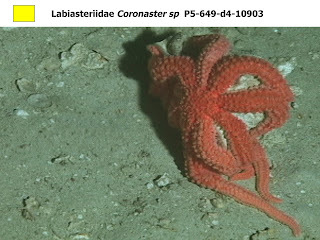 This species is about 7 to 9 inches across. 5. 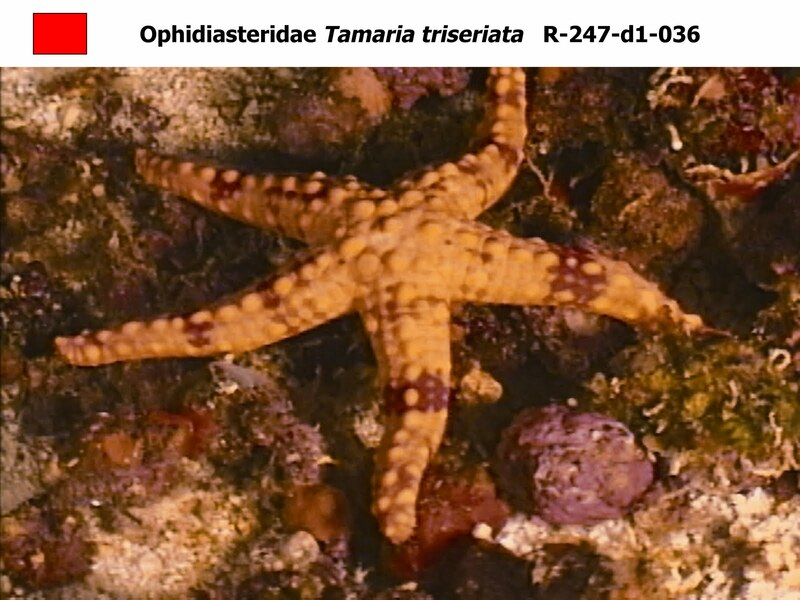 Tamaria triseriata. Another species that is really pretty..but whose biology is unknown. About 5 to 6 inches across. 6. Calliderma spectabilis (which is a synonym of Calliderma emma). These are amazing to see on video. They get BIG..and are almost a foot and a half across (armtip to armtip)! Probably because of their size, these are collected quite frequently. 7. 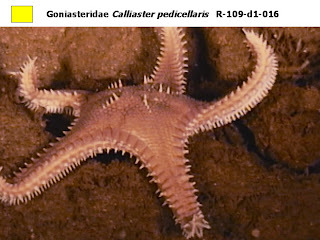 Calliaster pedicellaris. This is a pretty handsome animal. Sharp, cone-shaped spines cover the edge and the surface. We know pretty much nothing about it other then that. Good sized about 6-7 inches across. 9. Brisinga panopla What's a bunch of deep-sea pictures without a brisingid or three? 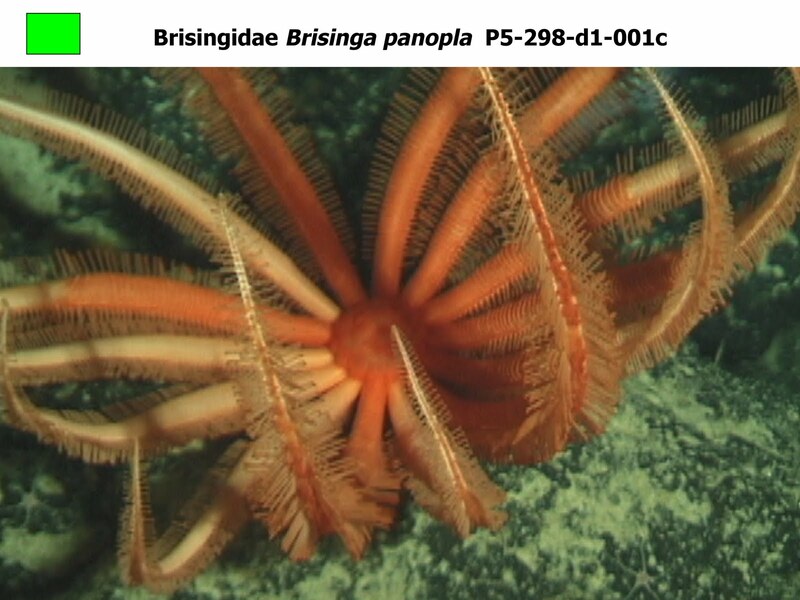 There are actually about four species of brisingid that are known in and around the Hawaiian Islands.. These can get to be over a foot in diameter. So, this is NOT all of the species...just the ones I thought were immediately interesting. There's a LOT more. How many more?? 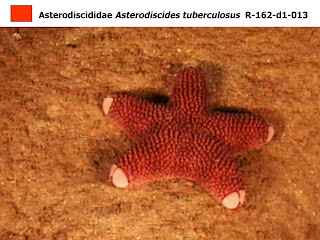 Go check out this checklist for the starfish I helped develop..
and here's the master list for all Hawaiian Invertebrates.. 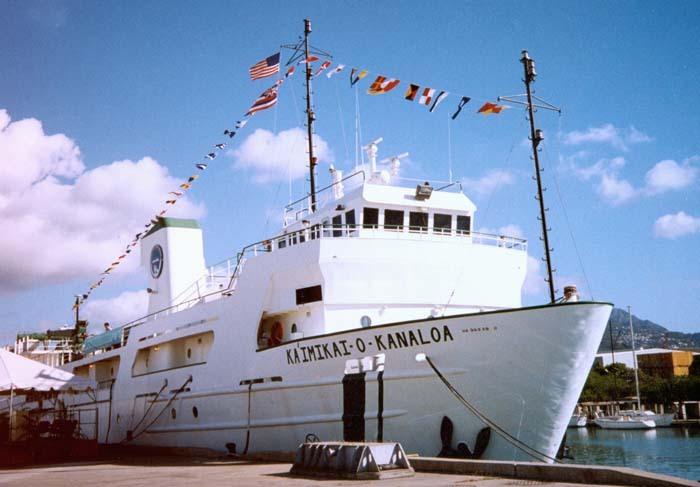 Interested in more Hawaiian Invertebrates?? Here's a GREAT book-"In Deeper Waters" by two of the primary scientists at HURL available at Amazon..
and here is John Hoover's excellent field guide to shallow water (with some overlapping into the deep-sea) invertebrates! Hey former invert bio TA! Really enjoying your blog, hope all is well. and I see you have a blog of your own! Great to hear from you again! This is wonderful. 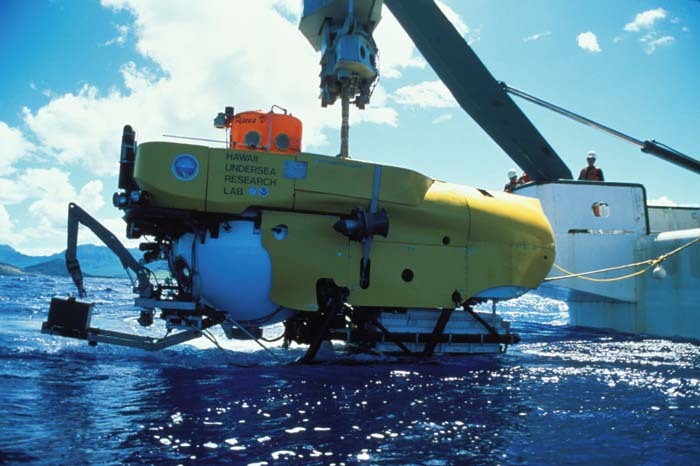 I have seen all of the species from Chave and Malahoff's book, yet it was incredible to see them consistently recorded from this expedition as well. Gee, these were beautiful! 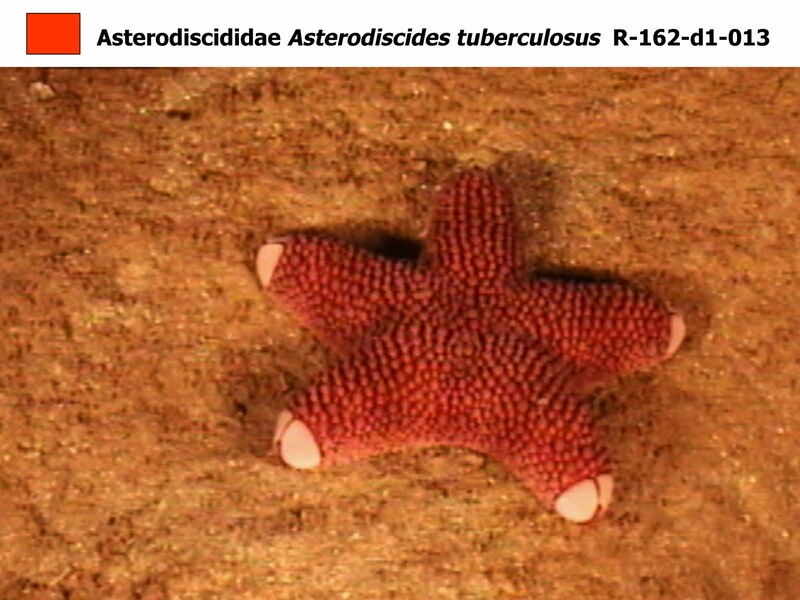 That paper-thin starfish is amazing. Thanks for sharing.